Our friendly and professional staff is here to answer any questions you may have about our company or our services. We’re fully licensed and insured and have over 32 years of experience in the painting industry. We DO NOT sub-contract our work, we staff our own employees and the foreman is on the job site at all times. All of our employees are background and drug checked, and we offer a 3 year guarantee on most of our painting services. References can be provided upon request. We are an accredited member of the BBB with an A+ rating and a member of The Greater Cincinnati Chamber of Commerce. In addition to our memberships, Hartman Painting Company, Inc. maintains a $2 million general liability policy, as well as Workers’ Compensation insurance to protect our customers and staff. Up to 12 months no interest= O% APR Option With Regular Minimum Payment required, No money down! 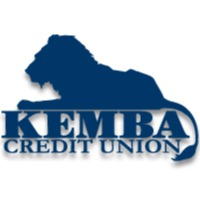 Loans provided by Kemba Credit Union! No money down! Terms expire to regular account terms at the end of the introductory period based on new principal balance and rate of 9.90%. Transaction fee for balance transfers and cash advances: 2% of each advance; minimum of $2, maximum of $50. Foreign currency transaction fee 1%.